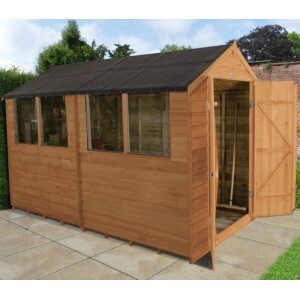 Garden Oasis sell a range of garden sheds and workshops made by Forest Garden, the UK's leading manufacturer of timber garden products. 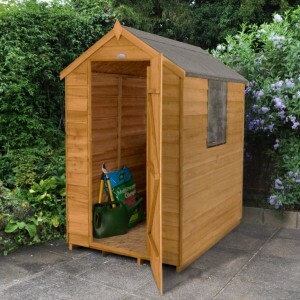 All of the sheds use timber from managed European timber plantations and are supplied either flat packed for home assembly or the Forest range of sheds can now be ordered fully assembled. We offer sheds in a wide variety of shapes and sizes to meet your storage requirements and three grades of construction to meet your budget. If you want low maintenance, have a look at the pressure treated sheds that come with a 15 year manufacturers guarantee against rot and require no annual maintenance. 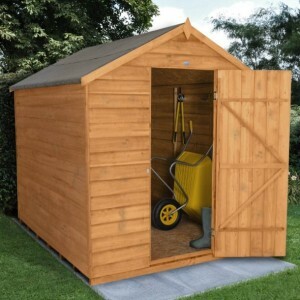 The Tongue & Groove Pressure Treated 7 x 5 Pent Shed from Forest has been crafted to an exceptio.. 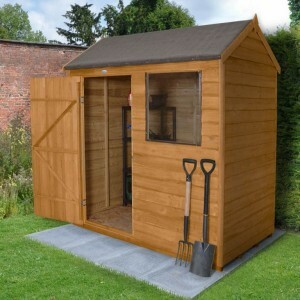 The Overlap Dip Treated 10 x 6 Pent Shed by Forest covers all of your garden storage needs and is of.. The Overlap Dip Treated 3 x 5 Apex Shed from Forest is an excellent option for gardens where space i.. 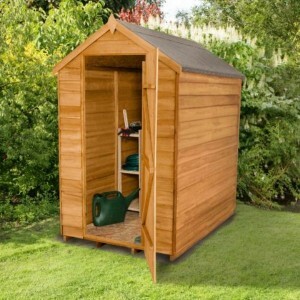 The Overlap Dip Treated 4 x 3 Apex Shed from Forest is an excellent option for gardens where space i.. 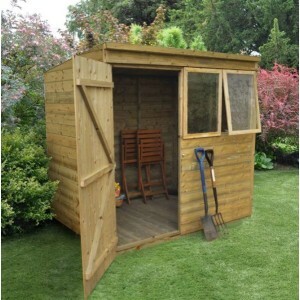 The Overlap Dip Treated 4 x 6 Apex Shed from Forest is an excellent option for gardens where space i.. 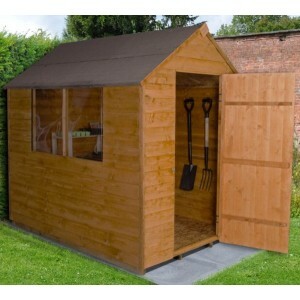 The Overlap Dip Treated 4 x 6 Apex Shed with No Window from Forest is an excellent option for garden.. The Overlap Dip Treated 5 x 3 Apex Shed from Forest is ideal for those with limited space that requi.. The Overlap Dip Treated 5 x 7 Apex Shed from Forest is ideal for storing bicycles, children's toys, .. 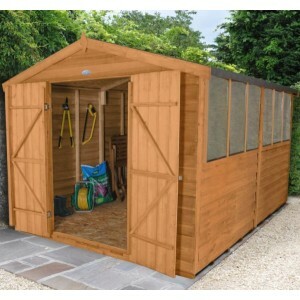 The Overlap Dip Treated 6 x 10 Apex Double Door Shed from Forest is perfect for storing bicycles, ch.. 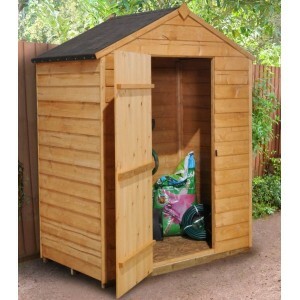 The Overlap Dip Treated 6ft x 4ft Apex Shed with Double Doors from Forest is an excellent option for.. 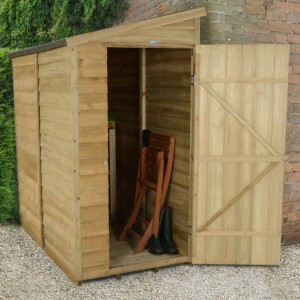 The Overlap Dip Treated 6 x 4 Pent Shed from Forest is a great storage solution for all types of gar.. 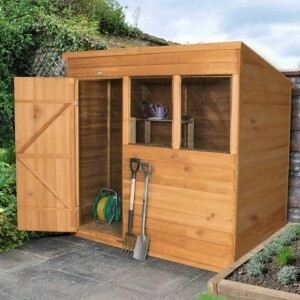 The Overlap Dip Treated 6 x 4 Reverse Apex Shed from Forest is perfect for storing gardening tools a.. 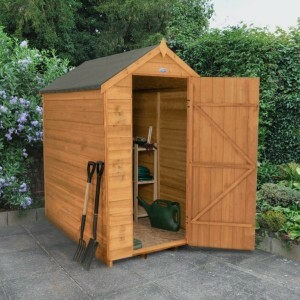 The Overlap Dip Treated 6 x 8 Apex Double Door Shed from Forest is ideal for storing bicycles, child.. The Overlap Dip Treated 6 x 8 Apex Shed from Forest is ideal for storing bicycles, children's toys, .. 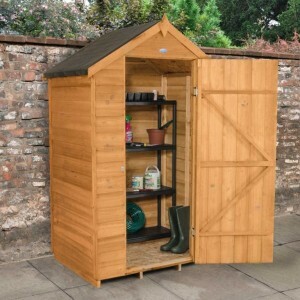 The Overlap Dip Treated 7 x 5 Pent Shed by Forest is ideal for general storage use e.g. bicycles, ch.. 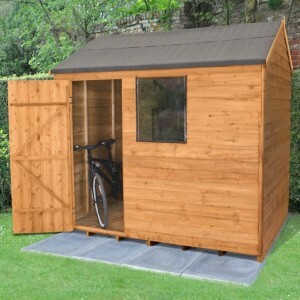 The Overlap Dip Treated 8 x 10 Apex Double Door Shed from Forest is ideal for storing bicycles, chil.. 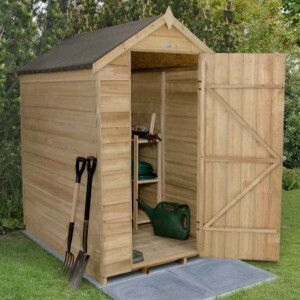 The Overlap Dip Treated 8 x 12 Apex Double Door Shed from Forest is ideal for storing bicycles, chil.. 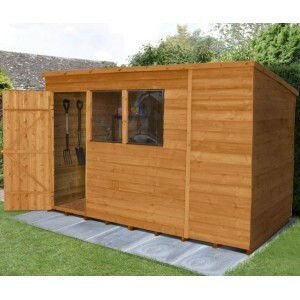 The Overlap Dip Treated 8 x 6 Pent Shed by Forest is a large storage solution perfect for tidying aw.. 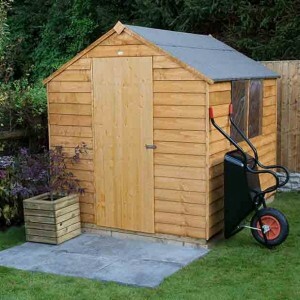 The Overlap Dip Treated 8 x 6 Reverse Apex Shed from Forest is perfect for storing gardening tools/s.. 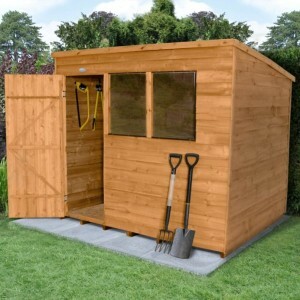 The Overlap Pressure Treated 10 x 6 Pent Shed by Forest is a great storage solution for all typ.. The Overlap Pressure Treated 3 x 6 Pent Shed with No Window by Forest is ideal for those that h.. 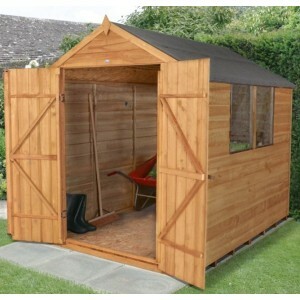 This durable Pressure Treated 4 x 6 Apex Shed from Forest provides a low maintenance, long lastin.. The Overlap Pressure Treated 4 x 6 Apex Shed with No Window from Forest provides a low maintenance, ..